Mitsubishi Repair in Boulder by Master Mechanics. Book an Appointment Today by calling (303) 449-8949. Ask About Your Free Initial Repair Assessment. “Constant improvement for over 100 years,” is what truly defines Mitsubishi. The company’s corporate tagline, “Drive @ Earth,” has two distinct meanings: a clear focus between vehicles and environmental concerns; and a reference to the rich landscape the planet allows us to explore and discover. The company’s mission is simple and yet powerful: “To move and surprise you. As such, Mitsubishi has created amazing and dynamic showstopper vehicles for the last 100 years – all of which boast innovation and safety. Each vehicle they produce has been tactfully designed and no attention to detail is ever overlooked. And Mitsubishi always goes that extra-mile in the design of its stellar line-up of vehicles, giving you pure “driving pleasure” and “safety” while on the road. All Mitsubishi vehicles are loaded with the best in technology, and boast space, comfort and style. The vehicles they produce are sound, slick and progressive in every sense. Just recently the company unveiled a line-up of hybrid and battery powered models, and they are now leaders in selling electric vehicles here in the USA and beyond. By 2022, the company wants to sell 40% more cars which will make them one of the biggest automotive companies in the entire world. 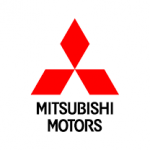 Why Trust Us With Your Mitsubishi Repair? To better serve the needs of our Boulder area clients, we have developed expert skills at maintaining the safety, mechanics, performance and durability of the entire line of Mitsubishi vehicles. Here is more information to ease your mind. We always are here to offer reassurance. Our staff includes a highly-skilled Mitsubishi Technician. Over 200 years of combined auto repair experience. State-of-the-art diagnostic software tools to ensure optimal results. A commitment to quality repairs by putting our words and actions into gear. Mitsubishi Repair Costs: We all know one fact when owning a vehicle: repairs can be steep. This is especially true for vehicle owners who have neglected maintenance. But don’t worry, we are here to help keep costs low and we do this by keeping up on the maintenance schedules and prioritizing repairs that need immediate attention, versus ones that can wait a while. We source the best parts for the money and we have the best technicians who will work on your car – and they know how to save you money. That’s what makes our pricing very competitive. Mitsubishi Parts: We typically use original equipment manufacturer (OEM) parts ONLY if they are cost-effective. If this is not the case then we source an equally durable aftermarket part, which will only help save you money. Mitsubishi Repair Advice Needed? We Are Here To Help! Searching online for like-minded owners like you? Need a second opinion? Do you need accurate advice and information about your Mitsubishi? You have come to the right place. We are here to make life easy for you and to get your car back on the road without your pocketbook taking a big hit. FAQs About Your Mitsubishi – Information Is Power! Can I wait until 10k between oil changes? We recommend an oil change every 5K; a small price to protect your engine. Do I have to replace my timing belt at 60,000 miles? No, on the newer models you can wait until 105,000 miles, but we recommend checking it if it’s more than 7 years old. Tires should be rotated every other oil change, or every 6000 miles. Do I really need to replace the timing belt when it is recommended? Yes – of course. If you don’t replace the timing belt then you are looking at major engine damage and this is costly. Should I still drive my vehicle if it needs repairs? No, never do this! Bring your vehicle in and we will give you a quick, free assessment. Your safety comes first and never risk going on the road if your vehicle needs important repairs. Need a specialized Mitsubishi repair technician to give it the care and service it needs? There’s only one number to call in Boulder, CO.! Call Independent Motors today at (303) 449-8949 for the best in Mitsubishi Repair & auto repair in Boulder, CO. You’ll be glad you did!